In rural India, women and girls paint the walls of their mud-covered homes with intricate designs using a rice-flour paste. 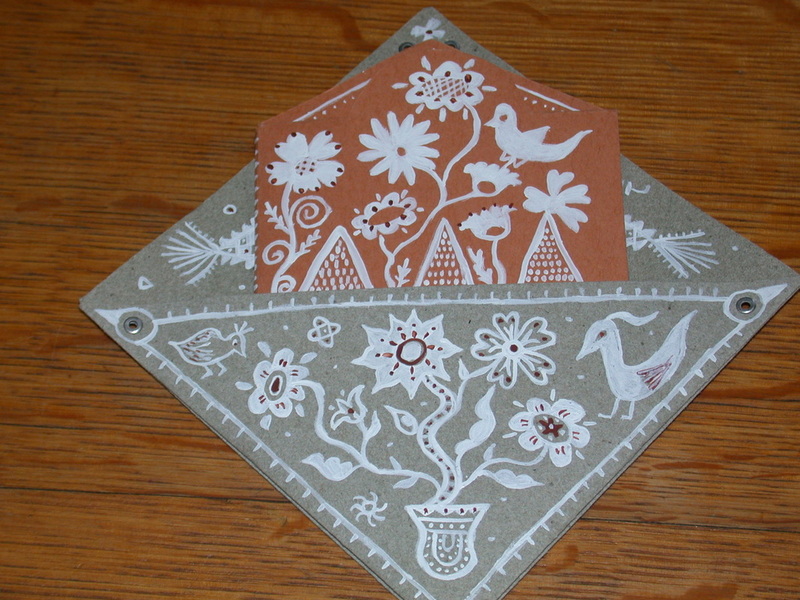 This is done to celebrate special family occasions and religious holidays. These "painted prayers" ask for protection, abundance and good health for the family. 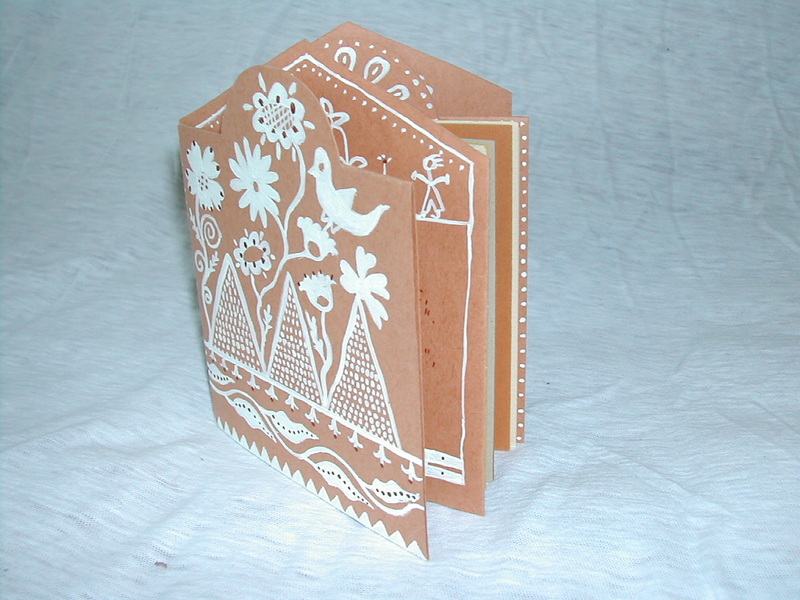 In this workshop, we'll make a pop-up house book from earth-tone paper and practice creating these traditional designs. 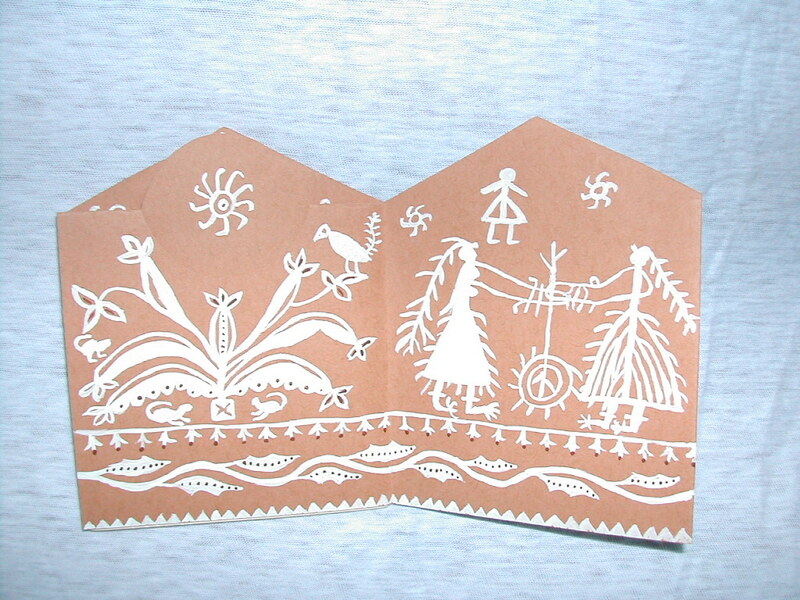 We'll add poems and blessings for our families, and paste photos of loved ones inside. 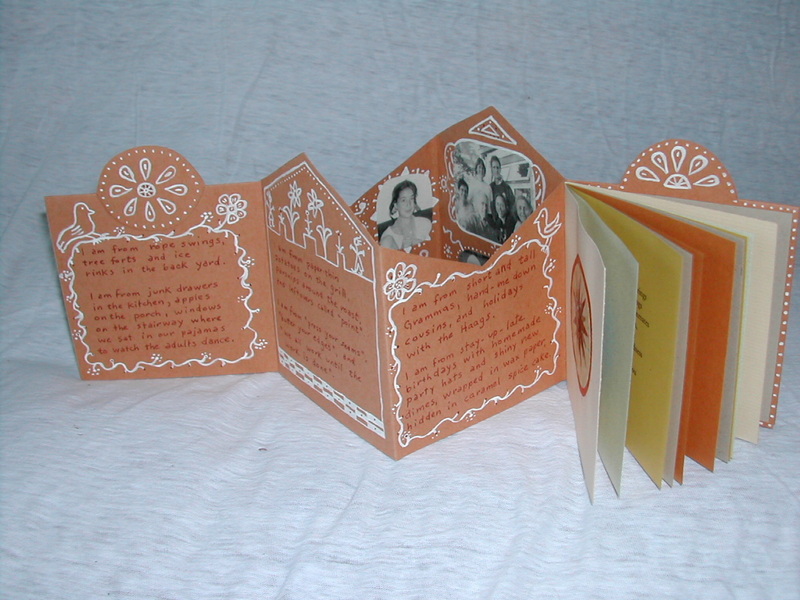 Additional pages can be added for family stories, or favorite family recipes. Participants are inivited to bring photocopies or prints of family photos from home.